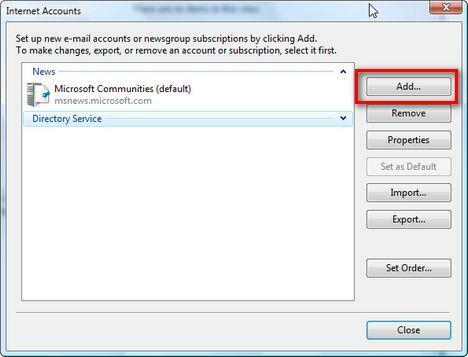 Start Windows Mail and then go to Tools -> Accounts. Click on Add to add the e-mail account. Select E-mail Account and press on Next. Type your name and click on Next. Type your e-mail address and click on Next. 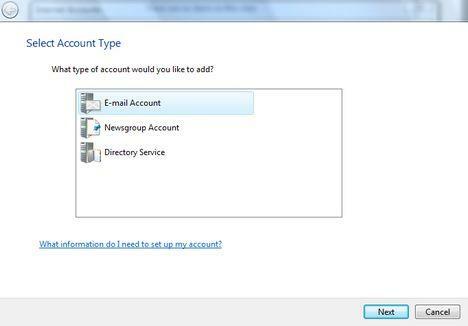 Choose POP3 in the incoming e-mail server drop-down list. Type „pop.mail.yahoo.com” in the incoming mail field and then „smtp.mail.yahoo.com” in the outgoing mail field. Also, don’t forget to check the „Outgoing server requires authentication” option. Then click on Next. Type your username without „@yahoo.com” and your password. 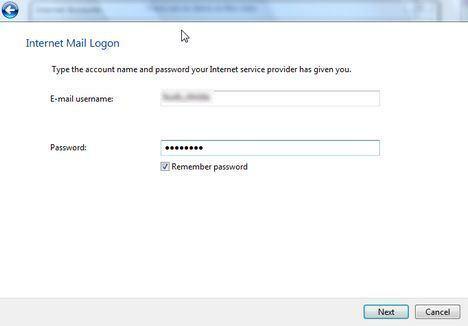 Check the „Remember password” option and click on Next. 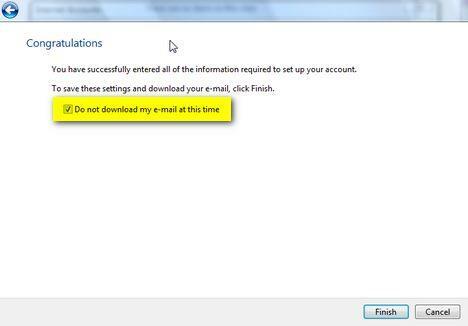 Check the „Do not download my e-mail” option and click on Finish. Now, select your e-mail account again and click on Properties. Go to the „General” tab and type „Yahoo Mail Plus” in your account name field. Go to the „Advanced” tab and check the „SSL” options for SMTP and POP3. Also type the ports 465 and 995. Another recommended setting would be to check the „Leave a copy of messages on server” and the „Remove from server when deleted from Deleted Items”. Then click on OK.
Now it should work. Press on the Send/Receive button and you should start receiving your e-mail messages. 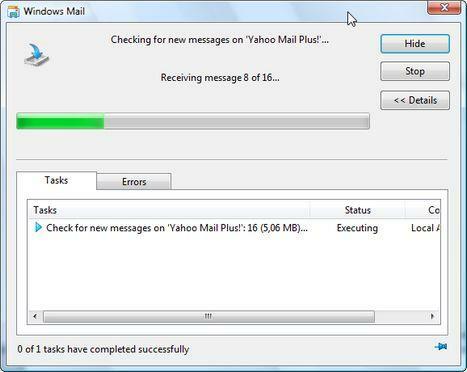 This completes our Configure Windows Mail to connect to Yahoo Mail Plus! tutorial. Stay tuned as we will work on more of them with different mail providers such as Hotmail or Gmail. 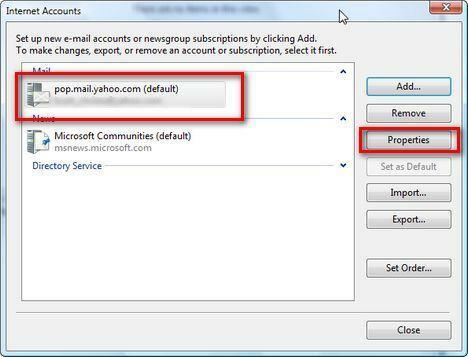 NOTE: this guide works ONLY for Yahoo Mail Plus clients. 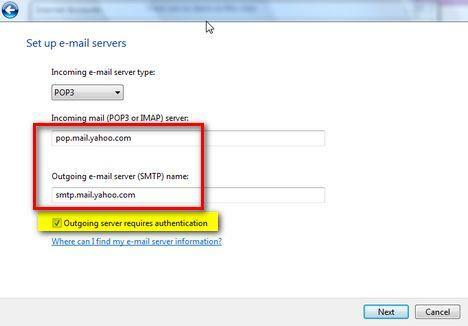 The free service of Yahoo Mail does not offer POP3 access, therefore you will always receive error messages when you will try to connect via Windows Mail or any other e-mail client. If you are a Yahoo Mail Plus client and you still have problems connecting, than please use the Yahoo Help page. Unfortunately we cannot offer any technical support for Yahoo accounts. 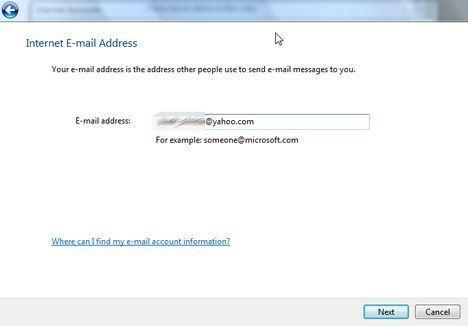 I have followed the instructions for adding my e-mail to windows mail and i am unable to connect this account, my account is yahoo.co.uk does this make a difference. I think it is trying to connect as i get a windows verification box which when i enter the information pops up again. help please!! 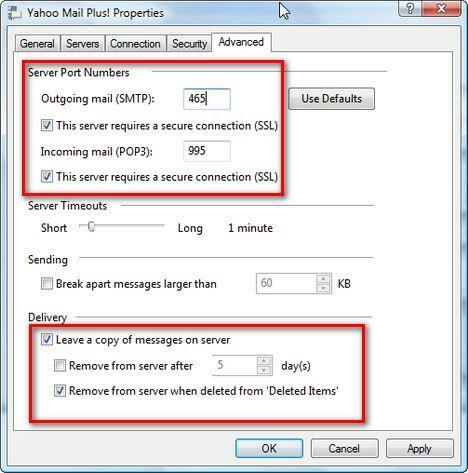 Are you a client of the Yahoo Mail Plus service? 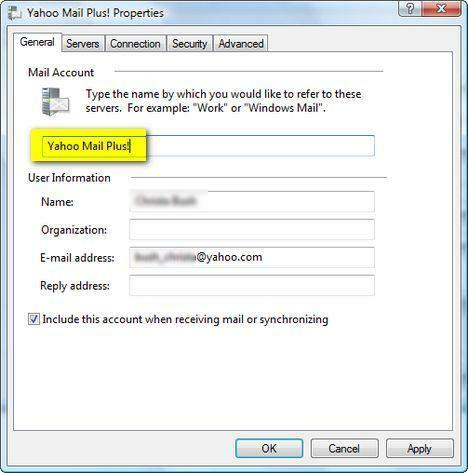 i dont have yahoo pluss but i got yahoo small busisnes account how i can configure the new windows mail of windows vista? WOW! Thankyou so much! This really helped because I was always searching for POP access for both of these (Yahoo & Gmail) Websites! Well Am really glad to have u genious online .... Thanks once again !!! Have followed the instructions which work until the Send/Receive demands entry of user name and password repeatedly (the windows verification box). I do not believe that I am a Yahoo Mail Plus client. Do I have to be? Unfortunately you do have to be a subscriber of Yahoo Mail Plus in order for this to work correctly. no matter how many times you try this it won't work. windows mail still has too many glitches. So, i guess it's to bad for all of us yahoo users. how do I tell if I have mail plus or small business mail with yahoo? I pay 19.99 per year for the mail type I have with yahoo. 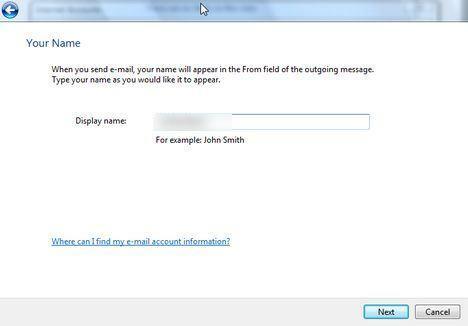 I have followed instructions for windows vista mail but repeatedly get the i.d. verification box pop up. I need you to show me step by step on How to get my e-mail started,& connecting to another account in yahoo mail. Have followed the instructions which work until the Send/Receive demands entry of user name and password repeatedly (the windows verification box). Followed your instructions to the letter yet got the error message you see below, after hitting the send/receive botton. The host 'pop.mail.yahoo.com' could not be found. Please verify that you have entered the server name correctly. If you are getting the 'connection to server has failed' error message try using a different port : accounts>properties>advanced - I found 587 for out going mail and 110 for incoming mail worked best, but in some locations have to change outgoing port to 25 (no idea why this should change from location to location). This has worked for me with a yahoo mail plus account for the last 6 months. I have suddenly developed another problem that other users on here are having and that is a windows security box popping up and continually asking for my password. Anyone solved this yet? It's really bugging me! I am getting the same problem as Phil above that has suddenly develoed. Although I can receive e-mails, everything in my outbox can not be sent and I keep getting this windows security box popping up asking for my username and password. I type it correctly but still it pops up again. Anyone know what's going on? it keeps requesting for a user name and password after configuring and it never authenticates the username. 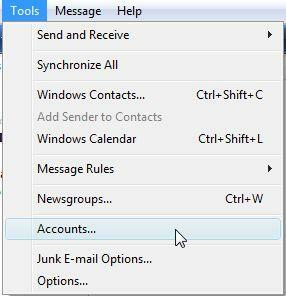 I am able to successfully send and receive e-mails on windows mail. Thanks! But I can not open any address eswithin the e-mails that I receive. Can you help with this? I keep getting these errors after I push "send/receive" I'm not sure what I'm doing wrong... I have removed and tried again with same results. Although we had no problem setting up the computer to recognize our e-mail account, we cannot open attachments in Word, Excel or PDF. Pictures come across just fine. We can use Microsoft Office to produce and send attachments; they just won't open on our computer with Vista. The error message is "Webpage cannot be displayed." It thinks that every Word, Excel, and PDF document is a webpage if attached to e-mail. Any thoughts? After 5 hours on the phone with our internet service and HP, we seem to be running in circles. I found your information to be very thorough and helpful. Thank you for taking the time to help us 'common users' utilize a great Microsoft product. 1. You're wrong about free. 2. You missed an important step!!! Okay, I came here hoping to get help with a recalcitrant account but it looks like I'll have to give it instead. Secondly, POP access MUST be enabled in your online mail options before you can get your emails. Lots of people here are getting a password error and that is likely the reason for most, if not all of the password errors mentioned here. Your screenshots doubtlessly make this an easier tutorial to follow for many people than Yahoo's own. Nice work. I configured my yahoo mail to my MS Outlook email client, but my contacts and sent mail contents did not move over with my the contents of my inbox. I have done the procedure you adviced in the site but the error message below is shown.. what should i do? I am so thankful to the website owner and the person who has mentioned the steps to configure Windows Mail in Vista, its self explanatory and very well executed. I was able to setup my yahoo account with in 5 minutes.